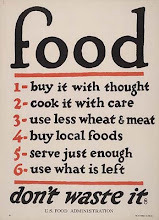 meals at home: No Artificial Colors! For a good part of my life, I was a juicing maniac, a la Jack Lelanne. 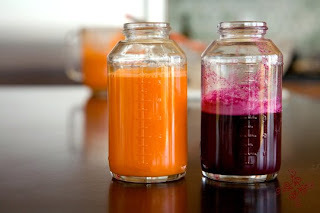 Every morning, I would consume the juice of apples, carrots, beets, etc. Basically, any vegetable or fruit in the fridge might find itself in the juicer and then in me. And it was excellent! I have since gotten out of the habit, (lazy! ), but I never pass on one if I happen to be in a health food store with a juicer running. I'll skip the extensive list of health benefits from juicing for now, but I would like to show you a great way to tint icing for cookies or cake without using artificial coloring. (YUCK!) If you don't have a juicer, stop by a health food store and order a few pints of juice to take home. 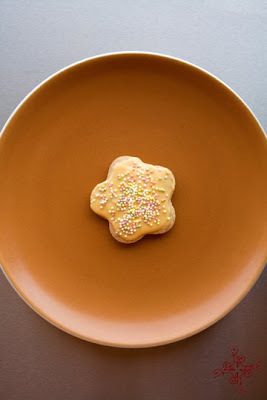 (Make sure to order enough so that you can drink a glass or two, you only need a few TBLS for the cookies!). Be advised that the juice will not stay drinkable for long, (one day), as they aren't pasteurized. There are a few companies that make pasteurized vegetable juices, these will be fine. In this post, I used carrot and beet juices. You can also try pomegranate or cranberry juice and experiment with these. If you are juicing at home, and using more than one type of vegetable for different colors, be sure to run water through the juicer until it runs clear before you switch over, so that you don't muddle your colors. As with anything that involves sugar, your kids will love this and it might get them to appreciate their veggies a little more! 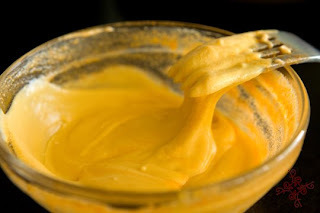 In a bowl of a mixer, beat 1/2 cup of butter (at room temp), until smooth. Add 1 lb of powdered sugar, 2 TBLS half and half and 2 TBLS vanilla extract. Beat until very smooth. To add coloring, separate icing into a few small bowls, depending on the number of colors you are making. Add a few drops of coloring (juice) at a time, to bowls and combine. 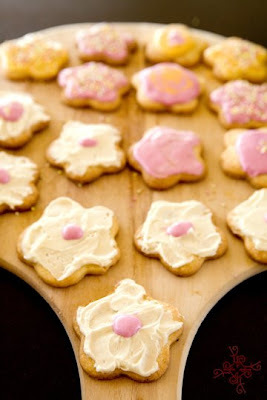 Be careful not to add too much coloring, as it will eventually water down the icing. In a large bowl, beat butter and sugar until smooth Beat in yolks and vanilla and zest. Stir or beat in flour until smooth. Divide dough in half and flatten each portion to about an inch thick disk. 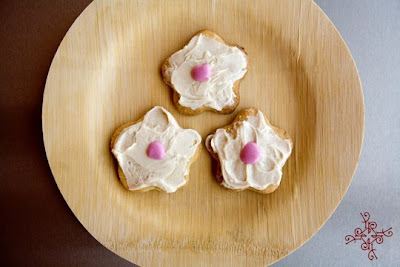 On a lightly floured surface, roll our dough to about 1/8" and cut dough into shapes with lightly floured cookie cutter. 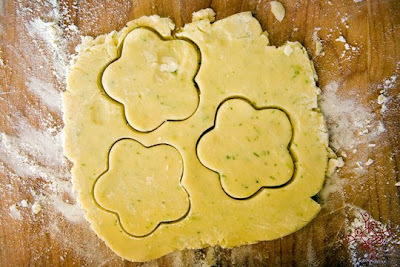 With an offset spatula, transfer cut outs to a baking sheet lined with parchment paper. Bake for about 10 - 15 minutes, or until golden. 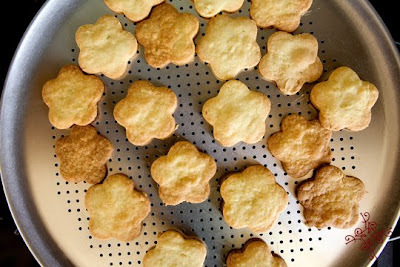 Transfer cookies onto a cooling rack and allow to cool completely before icing. Those are beautifully colored icings, and such cute cookies! My mom is a juice fanatic too. She makes carrot-apple juice every morning, mmm! Thanks for the kind words, 17! I bet this icing tastes even better than regular icing, too. 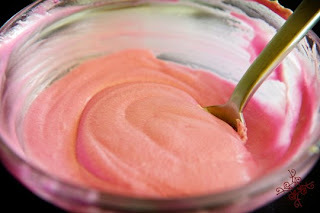 Do you think that homemade raspberry coulis added to butter icing (butter,icing sugar and cream) will curdle or seperate? My son is on a no artificial colors diet and I am making a cake for his end of school party. He loves raspberries so I thought I would try. I am not sure about the coulis, it seems like it should work. Id try a few different batches to get the right ratio of icing/coulis down. Keep me posted! I generally think with this, the simpler the better - try beet juice, Ive done that before and it was fine - the beet flavor is not an issue - cant taste it.